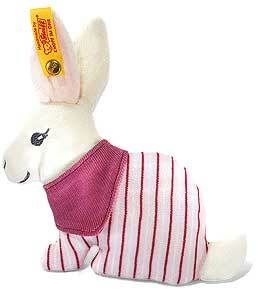 Steiff baby safe HOPPI Bunny Rattle 237539. 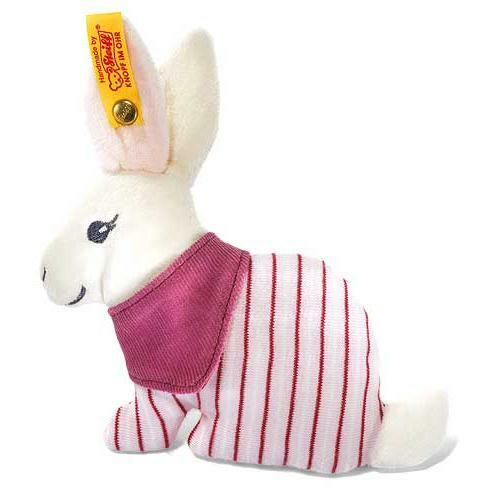 Made of the finest white/pink plush for baby soft skin. Machine washable.